Camping is fun, but some things you can’t know until you spend a night under the clear sky. Whether you’ve never gone camping yourself or you’re worried that camping might not be for your child, choose a warm night and camp in the backyard. This will introduce your child to the idea of camping and you’ll see what kind of supplies you’d need. When you go for the real thing, you’ll have at least a little bit of experience and so will your child. During this rehearsal, it’s very important to act as if you were away from home. Put electronics away and, unless there’s an emergency, don’t go back indoors, because the idea is to replicate the exact conditions of camping. You can never too careful when travelling with kids and when your vacation involves sleeping outside in a tent, you’ll have to be even more meticulous. Start planning a few months in advance if you want to stay at a car campground, because these sights are very popular, especially during summer and school holidays. Also, check if there are places to sleep nearby in case something goes wrong and sleeping in a tent is no longer an option. As far as weather goes, you can never be sure, so be prepared for both scenarios. Pack raincoats and rainboots for everyone in case there’s rain, but don’t forget about sunscreen and broad rimmed hats either. Packing at the very last minute isn’t a good idea because you might forget important stuff, so get a case ready about a week in advance and fill it as you go. When camping, there is a lot of running, jumping, climbing and biking involved, so it’s only a matter of time until someone trips over a log and gets a few scratches. A couple of bruises aren’t dangerous and you shouldn’t be afraid to let your kids get a bit dirty, but make sure you have some safety precautions in place. 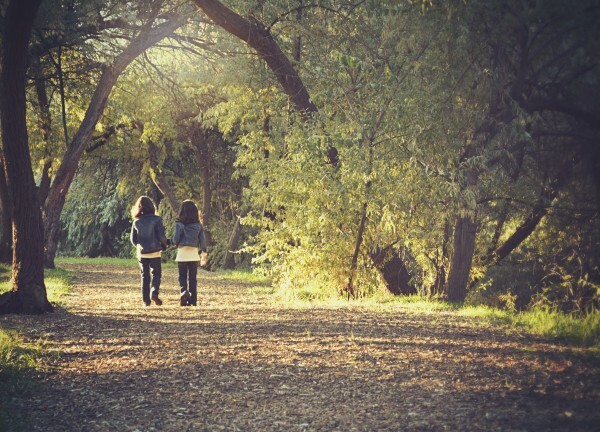 First, establish some ground rules so that your kids don’t wander off alone into the woods and risk getting lost. Second, pack a first aid kit in case you have to treat deep cuts or uglier wounds. 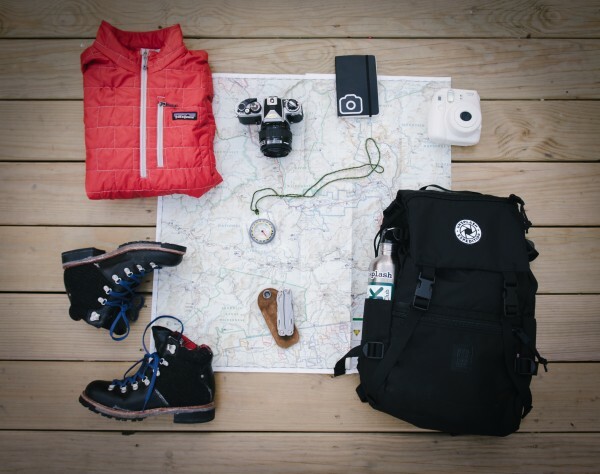 You should always have insect repellant with you to prevent bug bites, a large enough supply of fresh water and all food needs to be packed in sealed bags to avoid the risk of contamination. Needless to say, before choosing a location for your camping trip, you’ll have to do some research to find out if it is safe for children, because the last thing you want is to be visited by wild animals as you tell campfire stories. Once night falls, you should have plenty of glow sticks and a headlamp inside the tent. In general, the risk of having your valuables stolen on a camping trip isn’t a problem unless you’re camping on a site with dozens of other families, but, just to be safe, you could keep them in a locked box. 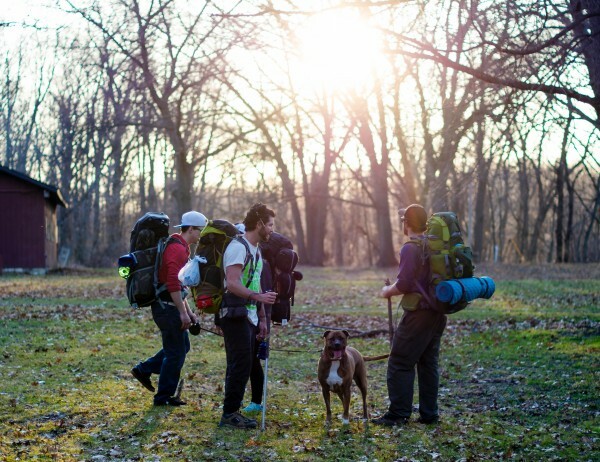 Camping isn’t just an occasion to spend some time in nature, but also to do outdoor activities. Depending on where you want to go, these can range from trekking and hiking to biking and kayaking. But, no matter what your favorite family sport is, make sure you gear up for it. Your car should be spacious enough to fit everything in, so you might have to equip it with a roof bike rack or rear bike rack. If you have a truck, you can take advantage of the extra space and add a bed rack track or truck kayak rack. If your car isn’t made for this kind of travel, don’t try to cram everything in, because the road trip will be torture for everyone. And don’t even think about leaving bike helmets, kneepads, life jackets and other safety gear at home, because that is a recipe for disaster. Talk to a friend who has an off-road vehicle or rent a car that fits everything you need for the camping trip. Going camping with the kids is a different kind of vacation. No matter how much you plan your activities, creating a step-by-step list of activities doesn’t mean that you will be doing those exact things. Camping is spontaneous by nature and you should let yourself be surprised because that is the beauty of it. 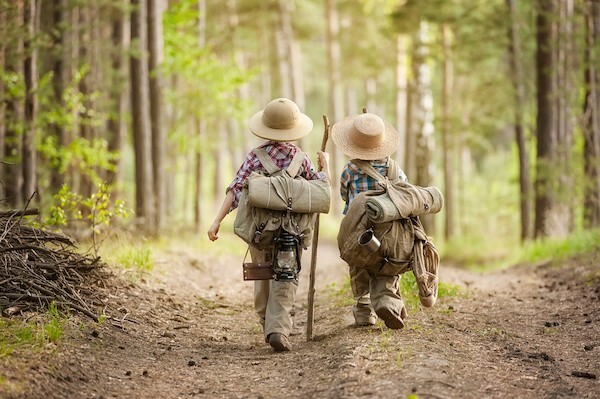 Allow your children to discover the surroundings of the campsite and suggest their own ideas. One night, you might want to take out the telescope and look at the stars instead of telling campfire stories. The next morning, you might go swimming in the nearby lake instead of trekking. So, be pragmatic when it comes to supplies and gear, but as far as activities go, stay flexible and spontaneous and you will have the time of your life. My name is Cynthia Madison, a young blogger and economics and marketing graduate. I am a long time reader of your site but I am also a blogger myself. I write about home, lifestyle and family topics and I am senior contributor to popular niche publications, such as sheknows.com, becomegorgeous.com, mombloggersclub.com and many more.